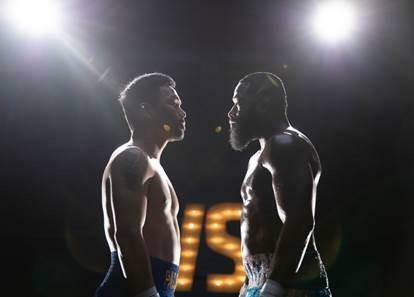 NEW YORK – January 14, 2019 – SHOWTIME PPV will present a welterweight world championship showdown between two of boxing’s biggest stars as Manny Pacquiao makes his long-awaited return to the U.S. against must-see attraction Adrien Broner on Saturday, January 19 live on SHOWTIME PPV at 9 p.m. ET / 6 p.m. PT from MGM Grand Garden Arena in Las Vegas. Award-winning ALL ACCESS program airing on SHOWTIME. Beginning with the Pacquiao vs. Broner main event press conference on Wednesday, January 16, SHOWTIME will live stream fight week events free on the SHOWTIME app and on the network’s social media channels, including Thursday’s undercard final press conference. Friday’s official weigh-in will be televised live on SHOWTIME, on the SHOWTIME app and on the network’s social media channels beginning at 6 p.m. ET/3 p.m. PT. An official pre-show will stream Saturday on the network’s social media platforms at 8 p.m. ET/5 p.m. PT leading into that evening’s live pay-per-view telecast. Hosted by sportscaster and WWE personality Jonathan Coachman, PACQUIAO VS. BRONER COUNTDOWN will feature special guests, fight analysis and highlights of the most compelling moments of fight week. telecast and combat sports veteran Mauro Ranallo will call the fight action alongside Hall of Fame analyst Al Bernstein and former two-division world champion Paulie Malignaggi. Three Hall of Famers will round out the telecast team – ringside reporter Jim Gray, Steve Farhood as unofficial ringside scorer, and world-renowned ring announcer Jimmy Lennon Jr. Alejandro Luna and former world champion Raul Marquez will call the event in Spanish, available via Secondary Audio Programming (SAP). The Executive Producer of SHOWTIME PPV is David Dinkins Jr., with Bob Dunphy directing.